From field to fabric, the process of making cotton transforms the raw fibers into threads, yarn and fabric in three steps: Preparation, Spinning, and Weaving. In America, this process was a tedious, labor-intensive activity done by hand until the 19th century. 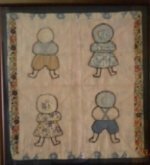 For most colonists, they either made their own homespun from cotton, linen, or wool or they purchased fabric imported from England. With the development of modern technology, the process of making cotton is complete in a fraction of the time. 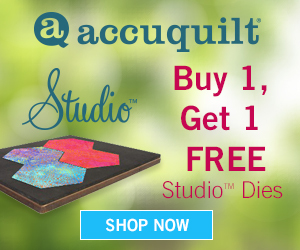 To be used for thread or fabric, raw seed cotton must cleaned and free of debris. 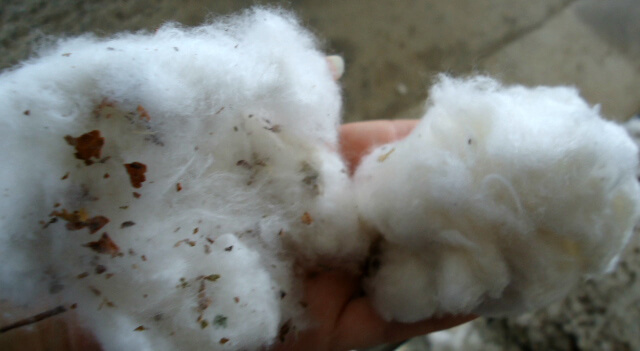 Seeds, burrs, dirt, stems and leaf material are removed from the cotton during ginning. Invented by Eli Whitney in 1794, the cotton gin was one of the many inventions that was created during the American Industrial Revolution. Module feeders break the modules apart and feed the cotton into the gin. Some module feeders have giant conveyors moving the modules into stationary heads. Other module feeders are self-propelled, moving down a track alongside the modules. Once in the cotton gin, the seed cotton moves through dryers and through multiple cleaning machines that remove the gin waste such as burrs, dirt, stems and leaf material from the cotton. Once thoroughly clean and dry, the cotton goes to the gin stand where circular saws with small, sharp teeth pluck the fiber from the seed. 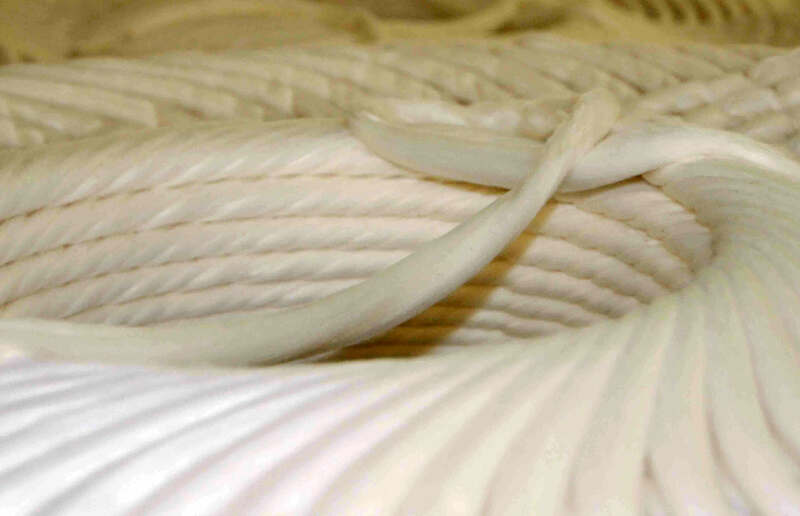 This process makes the sliver smoother so more uniform yarns can be produced. Then the cotton is packed tightly into bales, ready to be processed into textiles. Even though the cotton is cleaned during the ginning process, it's not nearly as clean as it needs to be. 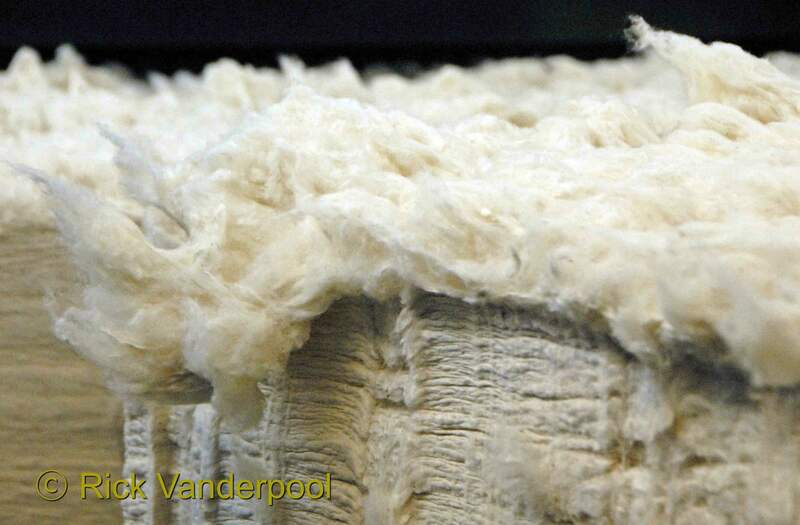 Cotton fibers are shaved from the bales and sent through a series of cleaning and drying machines. 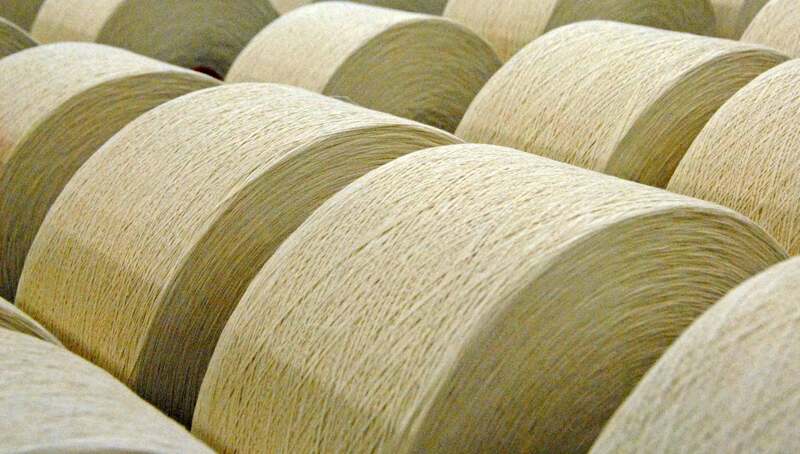 The mixed and fluffed-up cotton goes into a carding machine which finishes the cleaning and straightening of the fibers, making them into a soft, untwisted rope called a sliver (pronounced sly-ver). The sliver is drawn out to a thinner strand and given a slight twist to improve strength, then wound on bobbins (spools wound with the thread-like product for storage). It is now called roving and the roving bobbins are now ready for the spinning process. On modern spinning frames, yarn is mare directly from the sliver. The spinning devices take fibers from the sliver and rotate it up to 2,500 revolutions in a second twist that makes fibers into a yarn for weaving or knitting into fabrics. Looms weave cotton yarns into fabrics the same way the first hand-weaving frames did. 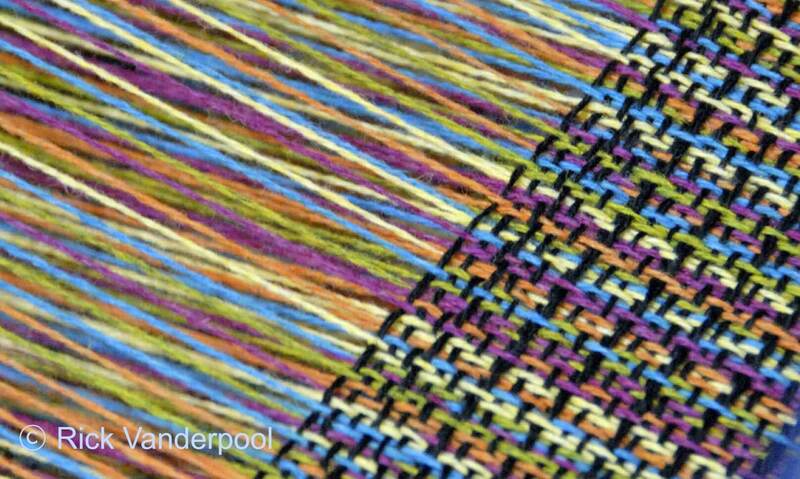 Modern looms work at great speeds, interlacing the length-wise yarns (warp) and the crosswise yarns (weft). Warp refers to yarns that run lengthwise in woven goods. In preparation of warp yarns for weaving, hundreds of yarn strands are wound from cheese cones onto a large warp beam. Yarns on this beam are then coated with a starch mixture (sizing compound) to add strength for weaving. Weft is the yarn that runs crosswise in woven goods and may be referred to as filling yarn. Sizing is not placed on weft because flexibility is needed in the weaving process. In today's most modern mills, the weft is fed into the loom from cheese cones with air-jets at such a high speed that its movement cannot be seen. The woven fabric, called gray goods, is sent to a finishing plant where it is bleached, pre-shrunk, dyed, printed and given a special finish before being made into clothing or products for the home. 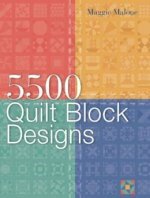 Other machines make knits for use in shirts, sweaters or blankets.